Simple Sew patterns are my favourite at the moment. 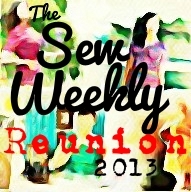 They are an easy sew which means I do everything carefully and neatly. 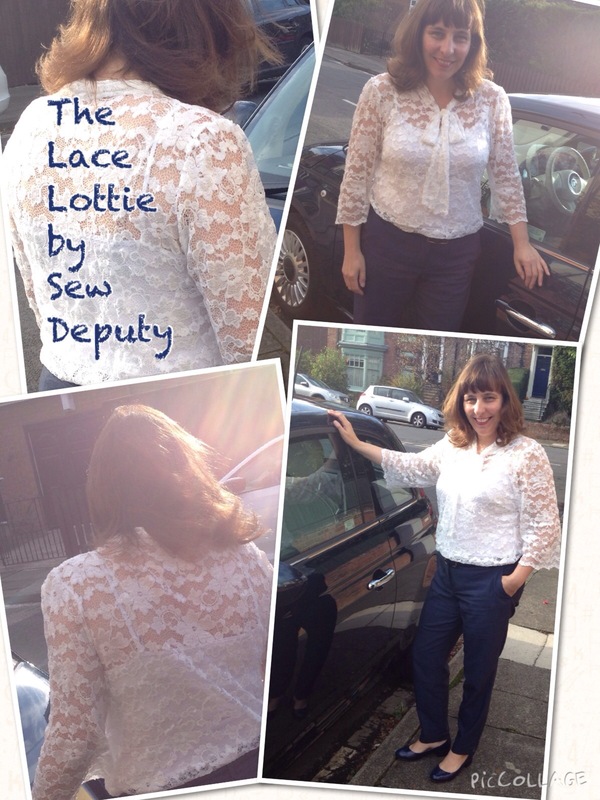 This is the Lottie Blouse and I used this lace from WhiteTreeFabrics .Don’t forget to use my code SEWDEPUTY at checkout and you receive 20% off and free P&P in the UK. I got two metres so I could use the scallops for the hem and sleeve ends. I used a slight zigzag stitch, cut close to the stitching and then a bigger zigzag to finish the edge of the fabric. I love navy and white to wear and so it seemed only right to get some photos next to my gorgeous car! My FIAT 500! 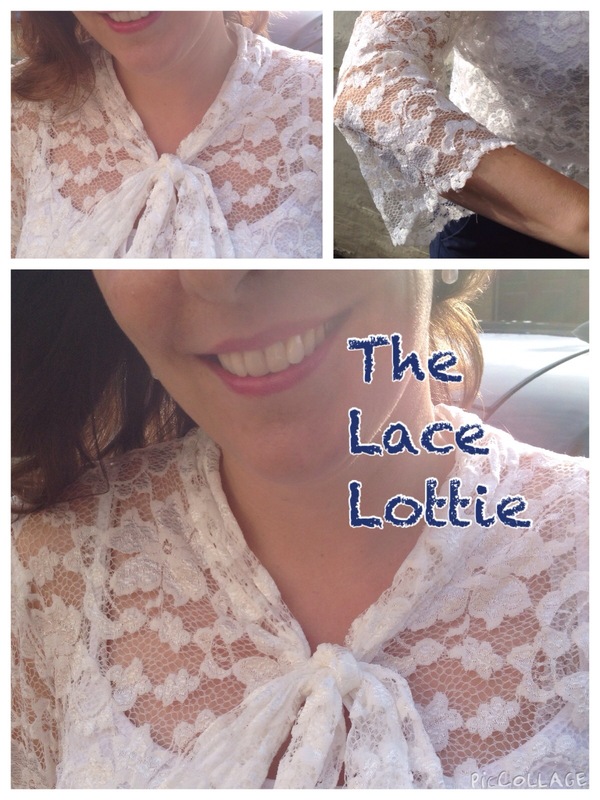 Lovely lace fabric. Great blouse, Amanda. Hot weather has started here temps over 30 degrees. Lucky it is a dry heat not humid like we had on our holiday in USA, Canada and Alaska. I would love to see England in the Autumn. It must be very beautiful with all those trees that change their colour of their leaves. You will be starting to think of making another coat, with the cold winter headed your way. Still have not found pastel coloured wool down under in the fabric stores. A trend that I only saw in some fashion stores but alas passed us sewers by. Enjoy the rest of your weekend.